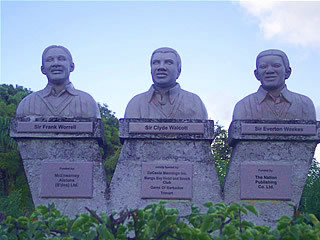 The 3Ws monument is dedicated to the memory of three great West Indies cricketers - Sir Frank Worrell, Sir Clyde Walcott and Sir Everton Weekes. 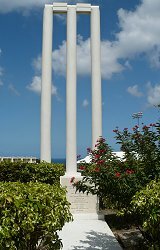 This monument, bearing the busts of this magnificent trio, can be found surrounded by tropical flora in the park opposite the 3Ws Oval at the University of the West Indies Cave Hill campus in Barbados. 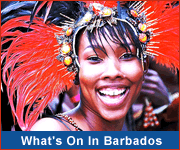 Each of the three, who were born within a couple of miles of each other and of Kensington Oval, were knighted for their contributions to cricket - Worrell in 1964, Walcott in 1994 and Weekes in 1995. 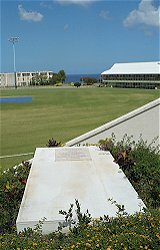 Both Sir Frank Worrell and Sir Clyde Walcott are buried on the grounds of the University campus on a hill overlooking the square.